Zach Randolph and Marc Gasol share a longstanding relationship that's bigger than basketball, and it's still growing to this day. 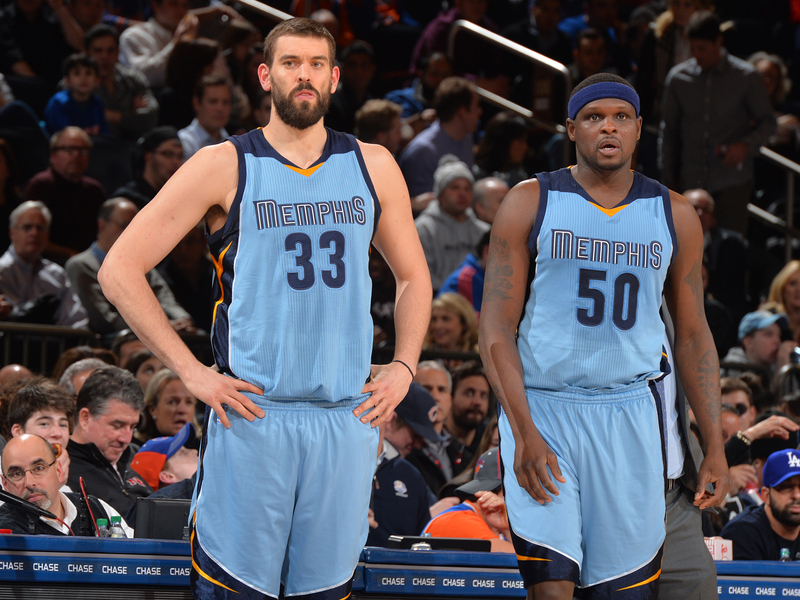 Times are tough for the Memphis Grizzlies. The Grizz have lost three straight games, six of their last nine, and are starting to show some cracks after a hot stretch early in the season that was fueled largely by uncommon success in close games. Chandler Parsons is working his way into form, and the team is searching for the right lineup combinations to solidify its rotation down the stretch. Memphis is still on track to make the postseason for the seventh straight year, though a tough first-round matchup with the Warriors, Spurs or Rockets likely awaits. With a little over a month to go in the regular season and the playoffs quickly approaching, I can’t help but wonder if it’s time to start preparing for the end of Grizzlies basketball as I’ve come to love it. One of my favorite games from this season was Memphis’s epic comeback win over Golden State in January. The Grizzlies trailed by as much as 24 in the second half, but stormed all the way back to win by nine in overtime. The best part of that win was seeing the Grizzlies do it while playing most of their “Grit-and-Grind” guys in the second half, with Tony Allen, Mike Conley, Marc Gasol and Zach Randolph sharing the court for much of the comeback. It’s a rare treat to see Gasol and Randolph play together these days. Once the NBA’s most bruising big-man duo, they’ve been more or less excised due to the league’s shift to small-ball and perimeter-oriented play. Randolph was moved to the bench before this season, and he’s on pace to play by far his fewest minutes on court with Gasol since joining the Grizzlies in 2009. Randolph will be a free agent this summer, and with Memphis looking to modernize its offense—with other key players also on expiring deals—we may not see any more of Gasol and Randolph after this season. To watch that duo play in their prime was nothing short of exhilarating for basketball junkies obsessed with the nuances of post play. Randolph did most of his work on the block, while Gasol often commanded the offense from the elbow. Spacing was always tight, but the two made up for the issue with constant communication, slick big-to-big passing, and a deep trust that showed on the court. Randolph was the bully on the block, using his wide frame and deft feet to create space for short jumpers and hooks. Gasol had a buttery J from the elbow, but he also wasn’t afraid to mix it up down low, often grinding his way into the paint for a sweeping hook. Now, Gasol still has an effective game near the rim, but he’s expanded his game out to the three-point line, where’s he’s attempted 224 shots entering Thursday. Before this year, Gasol had never attempted more than 17 threes in a season. Randolph’s game is still glued to the block, but now he’s more of an offensive fulcrum in bench lineups that require him to go one-on-one. But even as their time on the court has waned, Randolph and Gasol’s relationship has continued to grow. It certainly has been a trying year for Randolph, who, in addition to his career shift, had to deal with a much more sobering circumstance when his mother passed away on Thanksgiving. Gasol, just as he is on the court, was there to lean on. 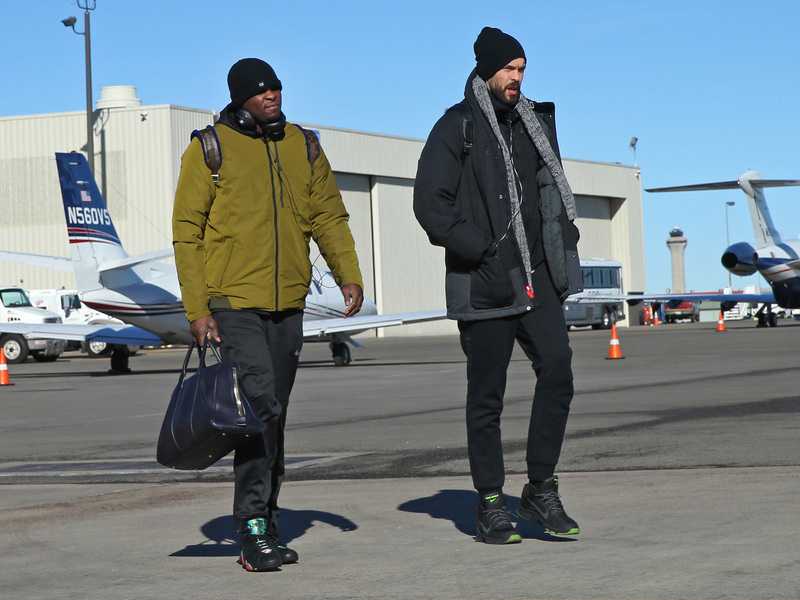 Gasol and Randolph’s relationship certainly extends well beyond the court, with the two often hanging out on the road, organizing team activities to get the young players involved, or engaging in their most common activity—according to Randolph—eating. Randolph mentioned Benihana as one of his and Gasol’s spots to hit on the road, and one has to imagine no one in the restaurant cares about the onion volcano when those two giants take their seat in front of the hibachi. Each of them calls the other their big little brother because, as Gasol explained, the younger-older dynamic often switches according to the situation. In terms of basketball, I got the sense Gasol and Randolph would love to play with each other more, especially after listening to them gush about each other’s repertoire. Gasol was equally as effusive in his praise. The thought of watching Memphis play without Randolph—or an NBA where his skillset is no longer appreciated—is legitimately frustrating. Randolph’s story is particularly sweet, as he shook off the malcontent label he was given in Portland and New York once he found synergy with Gasol and the city of Memphis. The Grit-and-Grind Grizz have always been a bit of an underdog, and even if David Fizdale is trying very hard to dismiss that identity, that label fits a team that’s seemingly always been greater than the sum of its parts. The Grizzlies of this decade have always been a ragtag group, an image crafted in Allen’s dogged defense, Randolph’s snarls and Gasol’s toughness. They were never title favorites but they were never a pushover. Maybe it’s too early to start writing their swan song, but if the end of Grit and Grind really is approaching, then the team that played analog basketball in a digital world deserves its own remembrance, even if that team never reached the heights of its contemporaries. I posed Gasol the same question, and he hemmed and hawed before I told him Randolph answered without hesitation. What would it look like for Gasol and Randolph to face off? Would Randolph be able to create enough spacing to shoot one of his looping jumpers? Would Gasol be able to move Randolph’s body to get himself in the paint for a running hook? Honestly, I’m not sure I want to find out.